On April 8 & 9, one century after the U.S. entered World War I, Midway Village Museum will host its 5th annual Great War re-enactment in cooperation with the U.S. World War I Centennial Commission created by Congress. It will be the largest public event of its kind in the U.S. Open your e-magazine now to learn more about The Great War at Midway Village. Inspiration & Worship: What is Palm Sunday? 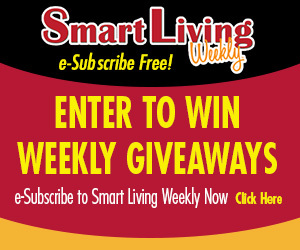 Congratulations to Li Eldridge of Rockford, this week’s Smart Living Weekly giveaway winner! Li takes home a $25 gift card to GreenFire, in Rockford. This entry was posted on Wednesday, April 5th, 2017 at 5:00 am	and is filed under News & Events, Smart Living Weekly. You can follow any responses to this entry through the RSS 2.0 feed. Both comments and pings are currently closed.